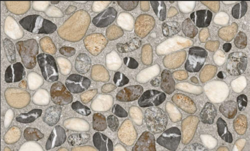 We are the leading supplier of all type of floor tiles in INDIA .We are the also supplying Somany 900x1800 Flexible Tiles. Usage/Application: Wall - Bathroom,Kitchen,Living Area and Lobby. Wall Tile Sizes: 12x12, 18x12, 24x12, 40x8, 248x24. We are engaged in providing a wide range of Somany Wall Tiles which has been sourced from certified vendors in the market and are highly praised for smooth finish and easy maintenance.